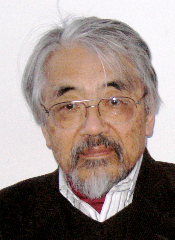 Sige-Yuki Kuroda, Professor Emeritus and Research Professor of Linguistics at UCSD, died in La Jolla, California, on February 25, 2009, after a long illness. Known almost universally as Yuki, Kuroda was the father of modern Japanese linguistics. His 1965 MIT dissertation, Generative Studies in the Japanese Language, written under the direction of Noam Chomsky, provided the seeds of theoretical studies of Japanese that continue to have an impact today. His work showed that not only could Japanese be fruitfully analyzed using the theory of generative grammar, but that it could play an important role in extending and expanding that theory. Kuroda's work on Japanese was motivated not by a parochial impulse to study his native language, but rather by a desire to use Japanese to illuminate the universality of human language. His work thus had an impact far beyond the realm of Japanese linguistics. As the Belgian linguist Nicolas Ruwet put it in his introduction to the French translation of Kuroda's book The (W)hole of the Doughnut, "in studying Japanese, Kuroda is really focusing on all of us. *"
Kuroda's linguistic work covered an exceptionally wide range, from phonology, syntax, and semantics, through pragmatics, stylistics, and poetics, to philosophy of language and mathematical linguistics. Just before his death, he was working simultaneously on Russian phonology and prosodic issues in the translation of Shakespeare's sonnets into Japanese, and was revisiting some of his earliest work on mathematics. Kuroda was born in 1934 into a prominent academic family. His grandfather, Teiji Takagi, had studied with the German mathematician David Hilbert, was a professor at Tokyo University and a member of the Japanese Academy. His father, Sigekatu Kuroda was also a mathematician, as are two of his brothers. Sige-Yuki Kuroda received bachelor's degrees in mathematics and linguistics from the University of Tokyo, and a master's degree in mathematics from Nagoya University. He then entered the linguistics department at MIT in 1962 and was a member of the first graduating class, receiving his linguistics Ph.D. in 1965. He was one of the first members of the linguistics faculty at the University of California, San Diego (UCSD), teaching from 1966 until his retirement in 1994. He then accepted a position as Professor of Linguistics at Tohoku University in Sendai, Japan in 1995 and retired from there in 1998. In addition, he held visiting positions at universities in Japan, France, Spain, and the Netherlands; he was a fellow at the Center for Advanced Studies in the Behavioral Sciences in Palo Alto and the International Institute of Advanced Studies in Kyoto. He was also honored as a Guggenheim Fellow and as a Fellow of the American Academy of Arts and Sciences. Kuroda is survived by his wife, Susan Fischer, and by three brothers and other family members in Japan. He also leaves hundreds of friends, colleagues, and former students who admired him for his deep intellect and loved him for his gentle kindness. Those wishing to honor his memory may make a contribution to the Japanese American National Museum in Los Angeles, the Asian Art Museum in San Francisco, or to any progressive cause of the donor's choice. * Le japonais est une langue tr�s diff�rente dans sa structure des langues europ�enes; mais l'inter�t qu'y porte Kuroda ne tient pas au simple amour de la langue maternelle, et l'interet pour le lecteur d�passe la simple curiosit� pour l'�trange et l'�xotique. Kuroda prend toujours occasion de certains faits japonais pour en tirer des conclusions qui valent universellement. Le japonais ici - comme l'anglais pour Chomsky - sert de r�velateur de l'universel; il se fait simplement que certains traits universels des langues se rev�lent plus clairement, se pr�tent mieux � l'�tude empirique dans telle langue particuli�re que dans telle autre. En �tudiant le japonais, c'est de nous-m�mes que Kuroda parle.